The service hit the 27 million milestone around the time of June's Worldwide Developers Conference, suggesting growth of roughly 1 million people per month since. In reality that growth has likely been uneven, perhaps surging around the release of new products such as 10.5- and 12.9-inch iPad Pros, and more recently the iPhone 8 and iPhone 8 Plus. Apple's growth still leaves it well behind the leader in on-demand streaming, Spotify, which broke the 60 million paid barrier in July. Still more listeners are believed to be on the company's ad-supported free tier. "I don't believe that what exists right now is enough," Iovine said in the Billboard interview. "I believe we're in the right place, we have the right people and the right attitude to not settle for what exists right now. Just because we're adding millions of subscribers and the old catalog numbers are going up, that's not the trick. That's just not going to hold," he commented. Iovine has previously complained that artists aren't being paid well enough by services with free tiers, like Spotify and Pandora. In the Billboard interview, he noted that streaming services are often riding on money from older music catalogs — which can be cheaper to license —while simultaneously faced with competition from free platforms like YouTube. "I just don't think streaming is enough as it is," he elaborated. "I don't agree that all things are going to be OK because Apple came into streaming and the numbers went up. Look at the catalog: It's a matter of time before the '60s become the '50s and the '50s become the '40s. The people that are listening to the '60s will die —I'm one of them. Life goes on. So you have to help the artists create new stuff that they would never be able to do on their own." 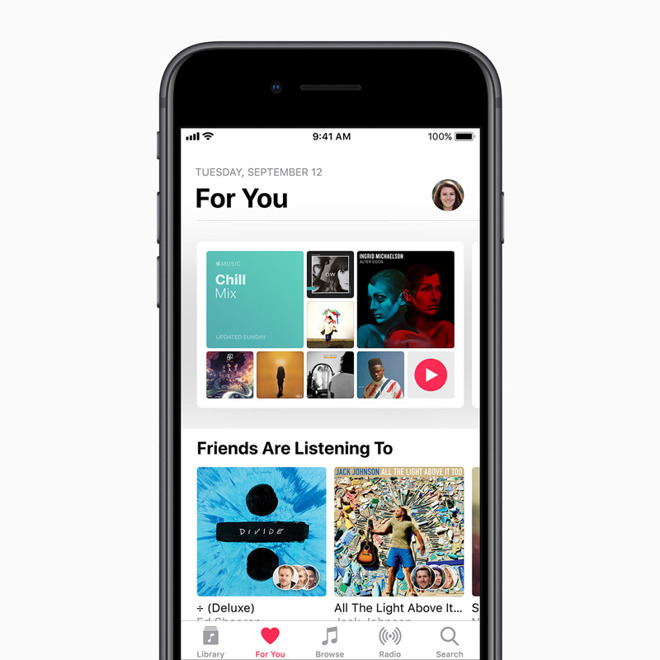 Apple Music has focused heavily on offering exclusives, including videos and albums, though the latter are usually just temporary before they come to other platforms. It's not yet known if Apple will bring its slate of TV dramas to the service, or air them elsewhere.